With this product you can accumulate up to 417 Glitter Points. Softens the appearance of pores. 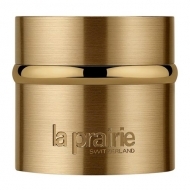 Cellular Radiance Perfecting Fluide Pure Gold from La Prairie is an anti-aging and anti-spots perfecting care cream with a matte and light finish. 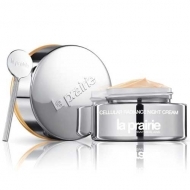 This formula with gold infusion glides over the skin, and immediately it is bathed in a golden light, getting visibly perfect. 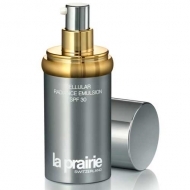 This luxurious product revitalizes the skin in depth, while improving the quality and texture of the skin from within. Apply in the morning and/or in the evening after cleansing, toning and applying the serum; Use your fingertips to gently apply on the face; Avoid direct eye contact; Let it soak completely. 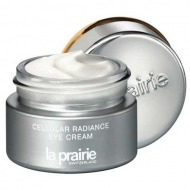 If you want an additional moisturizing, apply Cellular Radiance Perfecting Fluide Pure Gold after your favourite moisturizer.